We’re not just a tire shop anymore! Hub Cap World & Tire (HCW) now offers affordable straightening, welding, and repair of rims and wheels to get you back on the road quickly! We are proud to be a locally owned and operated business in Chicagoland and Northwest Indiana since 1984. 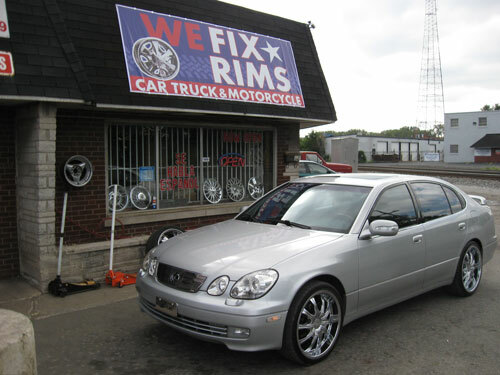 We buy, sell, and trade to get you the best deals on used and new tires, wheels, rims, and hubcaps in the area. Call today for a free quote on your rim, wheel, tire, or hub cap need! 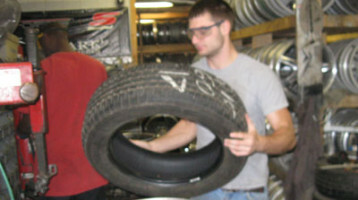 Rim Repair, Welding, Straightening and More! 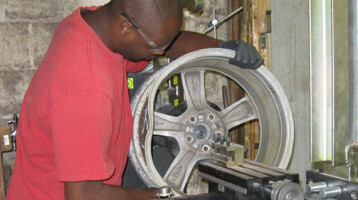 We are one of a select few rim and tire shops that can repair and weld rims in all of Chicagoland and Northwest Indiana. Save BIG by repairing instead of replacing! We have one of the largest selections of used and new rims, wheels, tires, and related products for automobiles and light trucks in the Chicagoland area. 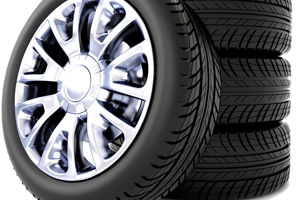 True to our roots, we will continue to offer affordable, fast tire services alongside our expanded rim and wheel services to the Illiana area.